ENT for Children is specialized in the treatment of ear related injuries and diseases. For children who have severe hearing loss, which cannot be corrected using traditional methods or treatments, cochlear implants may be used. 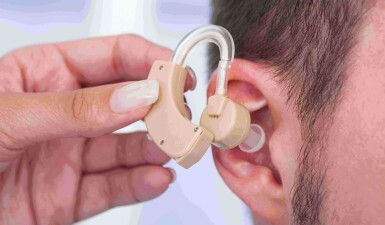 Cochlear implants are miniature medical devices which are used to replace an inner ear which has been damaged. They differ from hearing aids in that they mimic the function of the inner ear as opposed to merely making sounds louder. They are also responsible for transferring sound waves to the brain. Cochlear implants can be used to help children who have moderate to severe hearing loss in one or both ears, especially when traditional hearing aids are ineffective. Most patients who receive cochlear implants will have them placed in both ears, as this will enhance their ability to determine the direction of sound. How are the cochlear implants inserted? Cochlear implants must be inserted surgically. This will require the child to stay overnight at the hospital, but the procedure can also be done in an outpatient setting. Four to six weeks after the surgery has been completed, the parents must bring their child back to the ENT for Children where the external parts can be fitted. This will include both the speech processor as well as the microphone. Dr. Samadi will also need to activate the implant. Fitting the implant may take as long as three days and will require multiple visits. What are the risks associated with a cochlear implant? Any surgical operation involves some forms of risk, and common risks which are associated with cochlear implants include damage to the facial nerve, risk with anesthesia, leakage of cerebrospinal fluid, meningitis, problems with taste, the leakage of perilymph fluid and localized inflammation. Patients may also experience vertigo (which is a spinning sensation), tinnitus, or numbness in the area around their ear. Blood or other fluids may also collect at the location of the surgery. After the surgery has been successfully completed, it will be necessary for parents to bring your children back to Dr. Samadi so that he can adjust and program the numerous electrodes that have been implanted. The child will also need assistance learning to use the device, which will require a considerable amount of rehabilitation from teachers and speech therapists. The child must additionally learn communication, speech reading and listening skills. They will also learn how to use the implant in a manner that allows them to interpret the sounds they receive. Initially, the sounds that are received through the implant may sound unusual, but the child will be taught how to understand them.